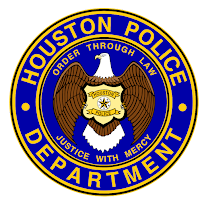 The Houston Police Department suffered a great loss in the early hours of Sunday, June 29, 2008. At approximately 5:15 a.m. Senior Police Officers Gary Gryder and Joe Pyland were working a traffic assignment on the Katy Freeway Service Road eastbound at Highway 6 when a driver entered the construction zone and struck both officers. Officer Pyland suffered a double fracture to his right leg and was transported to Hermann Hospital where he underwent surgery. 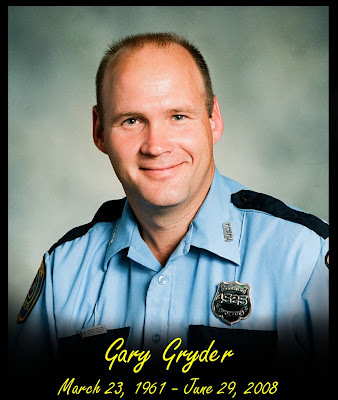 Tragically, Officer Gryder’s injuries were fatal. Gary leaves to mourn his parents, wife Debbie, a Houston Police Officer who recently retired, a son Austin, a daughter Jennifer and numerous family members and friends. Funeral arrangements are pending. I visited Officer Joe Pyland this morning at Hermann Hospital and he seems to be doing fine physically. He is alert and responsive. 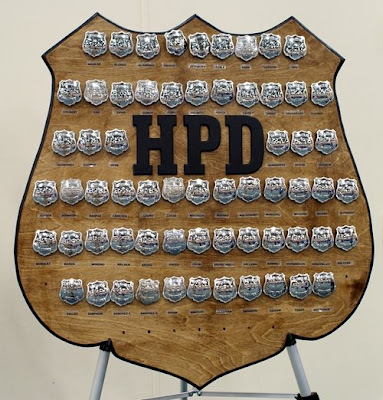 HPD is family. My HPD brother ended his watch yesterday after twenty three years of doing what he loved the most, being a police officer. I have had the pleasure of personally knowing Gary around the softball fields during police tournaments. He always had a smile on his face and a joke to tell. He was also one heck of a ball player. 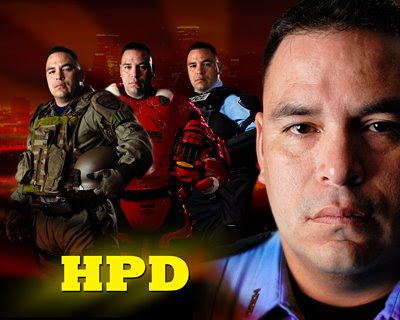 I will miss him as will all his HPD brothers and sisters. Please visit http://www.the100club.org/ for donations. Class 196 is patrolling our streets as you read this blog. 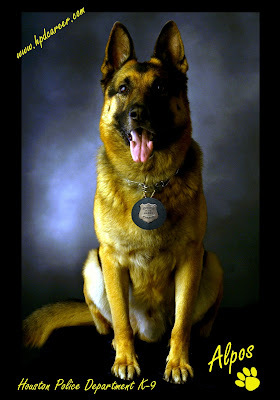 They will be working various shifts throughout the next training phase. They are riding with veterans who are teaching them the ropes. 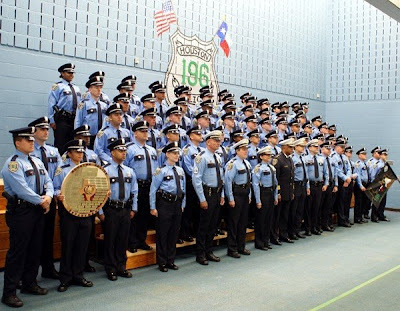 One day, they too, will become veterans of the Houston Police Department. These young men and women have stepped up to the challenge to make a positive change in our community. I can still remember the first day like it was yesterday. Me in my cleanly pressed uniform with my hair almost buzzed off. My heart raced and sweat dripped down my forehead as I sat there with 70 other strangers. Few of us knew what to expect. The scared yet eager feelings ran through all of us as we awaited the beginning to our very first day at the Academy. It was a strange beginning to a whole new life for all of us. The days of sleeping in and not caring whether your clothes were clean and pressed were over. It was a new beginning of getting up before the sun and working long days. Though it seemed like a drastic change to our lives we all welcomed the challenge. That was the first day of week one. Only twenty-seven more and we would hit the streets! Looking back now, the Academy is one of the most unique experiences of my life. It was both difficult and fun. It was challenging both mentally and physically. Over the six months that we spent in the Academy we went through many different stages and tasks. There were parts of the Academy that tested just our brains and there were parts that tested our physical abilities and still others that tested combinations of both. The Academy was extremely challenging and demanded a great deal of commitment, but after making a conscious decision that I was going to completely commit myself and give it my all, it turned out to be one of the most exciting and rewarding experiences of my life. 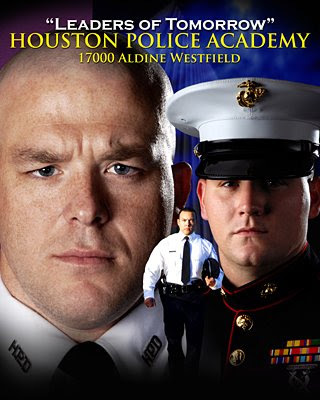 I think, looking back on it, that anyone that has the desire and drive to be one of Houston’s finest can excel in the Academy. Personally for me, the most challenging part of the Academy was not one individual phase or task but rather staying focused and balancing the multitude of daily tasks. Whether it was making sure that my uniform was in order (including shining my shoots/boots), or trying to make sure that I got enough sleep, there were always little chores that had to be done to make the Academy flow that much smoother. Being the class president made the Academy slightly more challenging because that just meant there were more responsibilities to manage but I would not change my Academy experience for the world. These challenges only helped me to become a better person and build the skills that I knew I would need when I went out on the street. 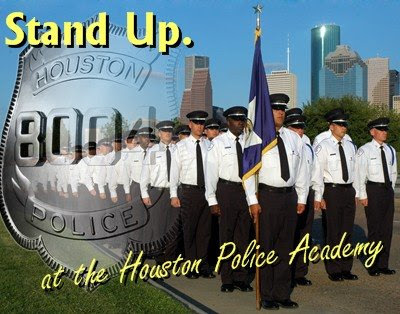 Being able to help manage an Academy class of 70, though not quite like dealing with people on the streets of Houston, was good preparation for graduation day when practice would become reality. Written by Academy Class 196 President Mike Herb. Cadet Herb...I mean OFFICER Herb, is now patrolling our streets and making a difference. Officer Herb is 23 years old and has a Masters Degree in Criminal Justice. 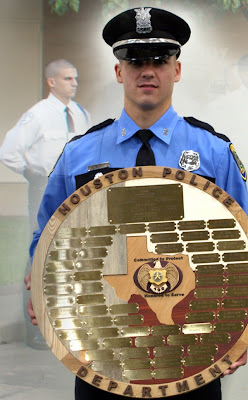 Look for future posts with Officer Herb as he experiences his first year as a Houston Police Officer. As the sun rises and everyone prepares for a new day, a special moment occurs at the Houston Police Academy on the last day as a cadet. Cadet classes will stand in formation and will announce their names one by one very quickly. Throughout training, roll calls are done the same every time. However, on graduation day, such as Class 196, it is done a little differently. Academy Class 196 graduates today. Congratulations and good luck! I will be posting more pictures and videos of Class 196 in the next couple of days. Check back often. Way to go 1-9-6 !! Another Academy Class will be graduating this week. Look for pictures on Friday. We still have a seat for you in the future if you have not applied yet. 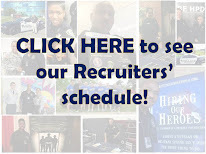 Apply at www.hpdcareer.com and become a leader of tomorrow with HPD! 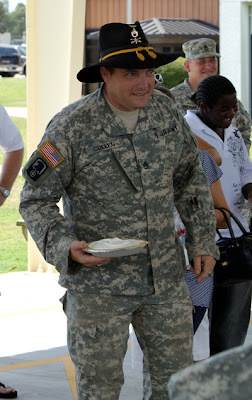 On Saturday, June 14, 2008, the Houston Police Department Recruiting Unit was invited to the the United States Army Reserve 7/6 Cavalry Family Day in Conroe, Texas. 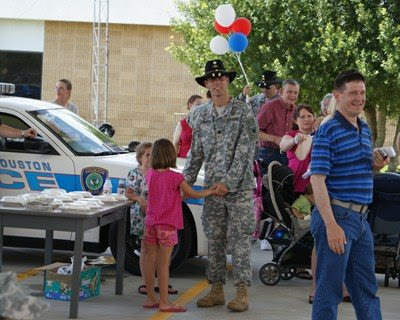 HPD proudly supports its veterans and it was a fun day for all. At the end of the day, the unit was taking donations for the "Family Assistance" fund. 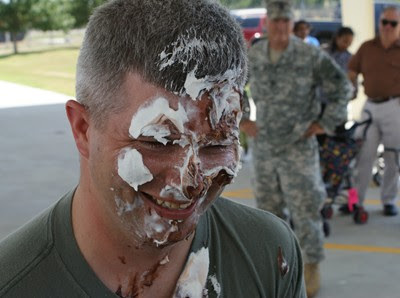 The person with the highest donation got to throw a pie in their supervisors face. Needless to say "Family Assistance" did well that afternoon. The HPD Recruiting Unit wants to thank you for the invite. We currently have many reservists on our police department and we have room for you too. Serve your Country and Protect your City! Apply today and we will call you in for an interview faster than you can say "oooop". This Sunday is Father's Day. (Clue: Need to go to store...) At HPD we have a lot of father and sons on the department, as well as mother's and daughters. I just wanted to wish everyone a Happy Father's Day this Sunday, and don't forget to give him a hug or a thought. 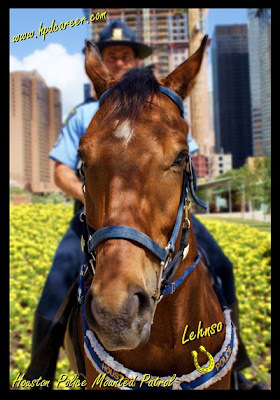 Why the long face when we are still hiring at www.hpdcareer.com ! 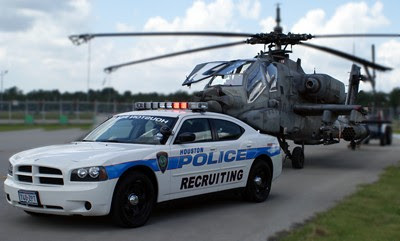 When you apply from out of state to become a Houston Police Officer we travel to everywhere you have worked and lived to make sure we are getting USA's finest. When I talk to people outside of Texas you would not believe how many of them ask me if Houston has tumbleweeds blowing down our streets. I am not kidding. Whatever it takes, apply today! I have my badge already. I still need a partner. Won't you be mine ? What is the police academy like? It has been a while since I attended, but it is basically the same. I get a lot of emails asking me about the academy. I thought today I would blog about the academy and give everyone some sort of idea of what it is like. After you are selected to go into the police academy, you are assigned a date of entry. Once a date is determined, you will know what academy class number you will be in. For example, the next academy class is number 199 and starts in June. The next academy class is 200 and so on. Yes, we had an academy class number one. No, I am not from that class. Actually I am from academy class number 107. It’s been awhile, but you never forget your class number or your classmates. Your academy class will be the same. You will become close to your classmates and you will work side by side with them for the duration until you get that badge pinned on your shirt. Let’s talk about the academy a little more. First off, it is located at 17000 Aldine Westfield at Rankin Road in Houston. If your are unfamiliar with that address, it is near Bush International Airport. It’s one of the largest academies in the United States. 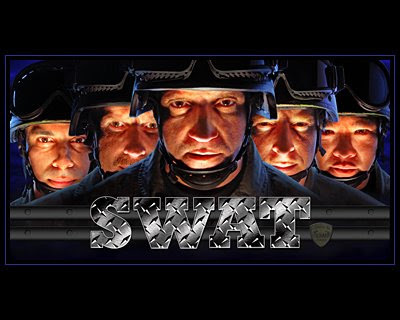 It has its own driving track, shooting range, “hogans alley” (simulated town), SWAT training, landing pad for helicopters, weight room, gymnasium, cafeteria, rest area, and of course classrooms. Oh, and it has a lake on the property with very friendly ducks (don’t let them fool you, they just want your food). The academy is six months long and you will attend during the daytime hours from around 6:30am to 4:00pm. On occasion you will work later hours for night time tactical training. You have weekends off and all the holidays off while attending. You arrive everyday like you would attend college. You do not live on sight. Educational methods and materials have changed enormously since Academy Class Number One, but the basic purpose remains the same: To produce the best-trained police officers possible. 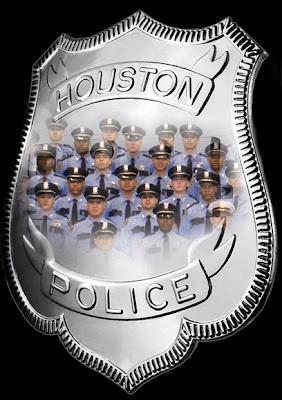 Today, Houston police officers undergo one of the most extensive and innovative training programs in the world. 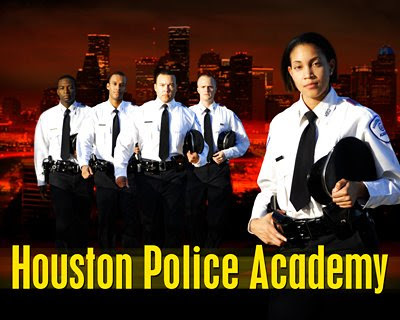 The Houston Police Academy provides a unique blend of training, recreation, and social functions to serve the officers of the Houston Police Department. 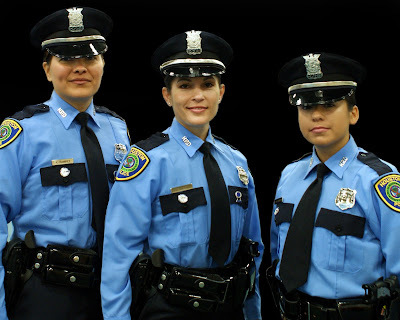 It is the total atmosphere that contributes to the professionalism of the men and women of the Houston Police Department. Take that first step, apply today, you won't regret it.